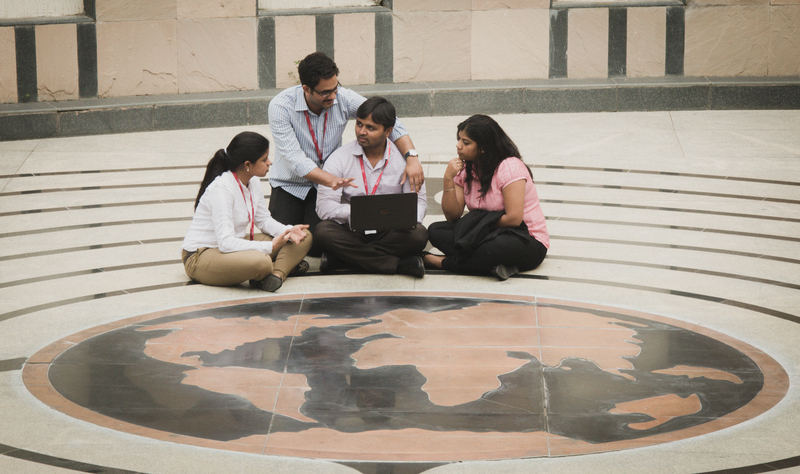 At Tech Mahindra, we truly believe that Technology makes it possible, but it's people who make it happen. 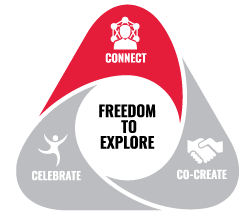 Tech Mahindra aims to create a culture where Associates have the Freedom to Explore Opportunities to Connect, Co-create and Celebrate. 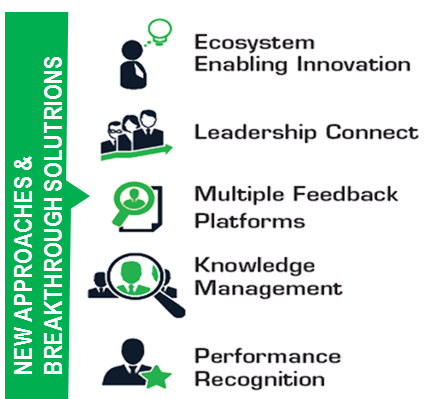 While we have created multiple programs to Connect Associates’ aspirations to achievements, we have also consciously fostered a culture of Co-creation by encouraging doing new things and new ways of doing things and at the same time have made Celebrating a way of life at Tech Mahindra by ensuring the seamless blending of life at work and beyond work. We nurture globally competitive professionals through robust learning programs to enable continuous learning for our Associates. 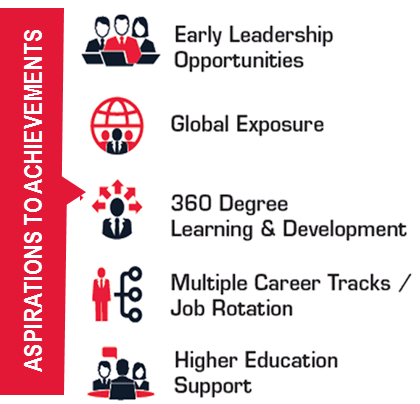 Tech Mahindra has put in place a comprehensive Job Family Framework that comprises jobs from various business verticals, defines ideal career paths for each job family across levels and provides clear visibility about the entire spectrum of job families and roles available. Associates have ample opportunities to move across job families based on their capability and organizational requirements. We have specialized tie-ups with some of the best of education providers for rolling out higher education programs and have crafted the programs to suit the time challenges of working professionals. Besides that, we also enable our young achievers to demonstrate their leadership skills and strategic thought process through our focused early leadership programs like Young CEO, 1000 Leaders, Shadow Board, Global Leadership Cadre (GLC) and Achievers in the Making (AIM). 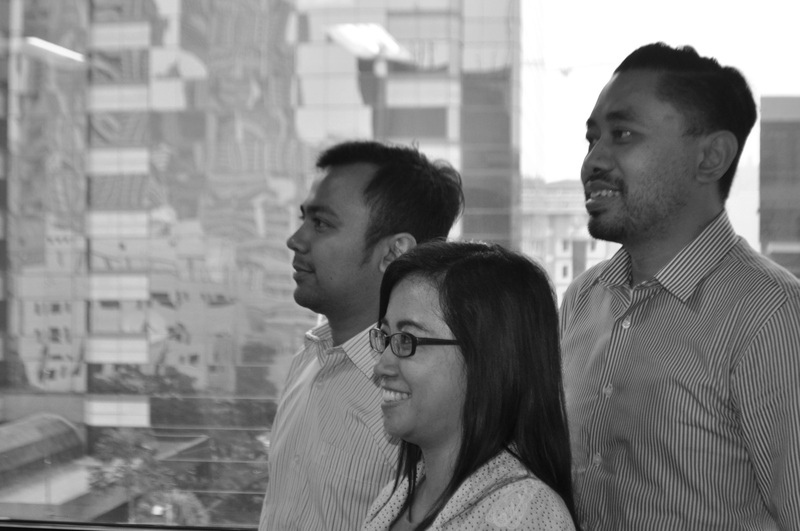 We promote an empowered and collaborative work environment where our leaders stay involved and engaged with our Associates and encourage them to challenge conventional thinking. 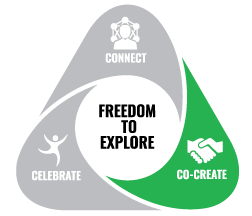 We enable cross-pollination of ideas and through our Intrapreneurship Program, you even have the opportunity to pursue your ideas and commercialize them with support from mentors and resources from Tech Mahindra. 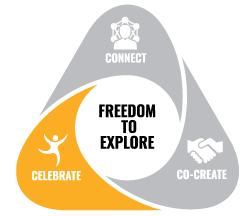 We have a comprehensive reward program that appreciates individuals and teams at unit, functional and organizational levels. We also have 'on the spot' recognition mechanism to facilitate manager and peer-peer recognition and this is in addition to the monthly, quarterly, half-yearly and annual award categories. No need to choose between your life and work here. At Tech Mahindra, they are seamlessly integrated and we are committed to providing a holistic employment experience to our Associates with the flexibility to balance both professional and personal commitments. Our comprehensive Wealth of Wellness (WoW) offerings enhance physical, mental, emotional and spiritual wellbeing of our Associates. And we are serious about fun! 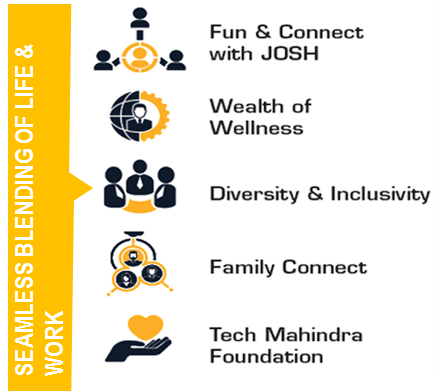 We have a team called JOSH - our voluntary group of charged Associates - who ensure fun and connect at Tech Mahindra round the year. 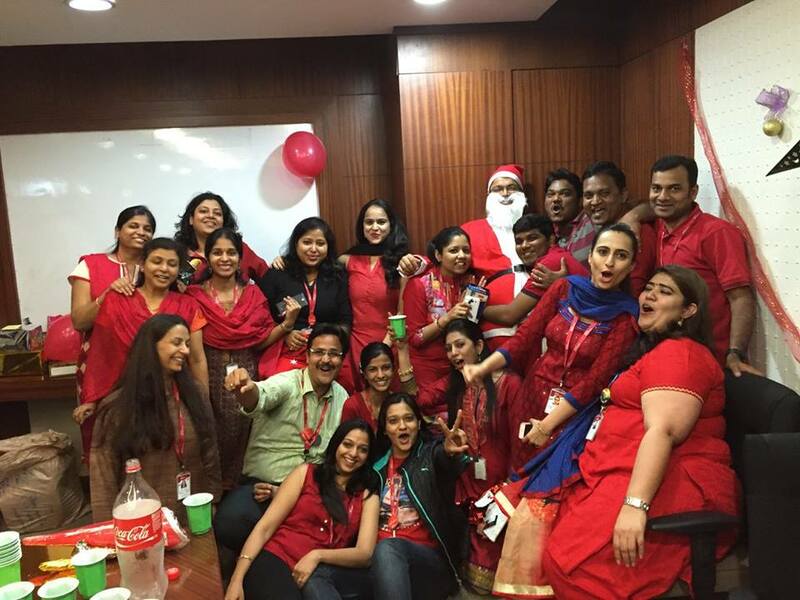 We create a fun-filled, high energy work environment where personal milestones, organizational successes and special occasions are celebrated with fervour and enthusiasm involving not just our Associates but often with families. However one of the most rewarding ways we celebrate at work is by Rising for Good- by being socially responsible and volunteering time for events and programmes supported by the Tech Mahindra Foundation.